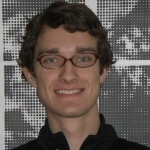 Nikolaus Wirth is a visiting graduate student at the University of Washington for the academic year 2007-2008. His home institution is the University of Augsburg in Germany. He attends the University of Washington through a scholarship program of the German Academic Exchange Service (DAAD). As soon as he returns to Germany, he will pursue his M.A. degree in Modern European History. His research interests are the transatlantic relations between Germany and the United States and the Social and Political History of both countries after the Second World War.